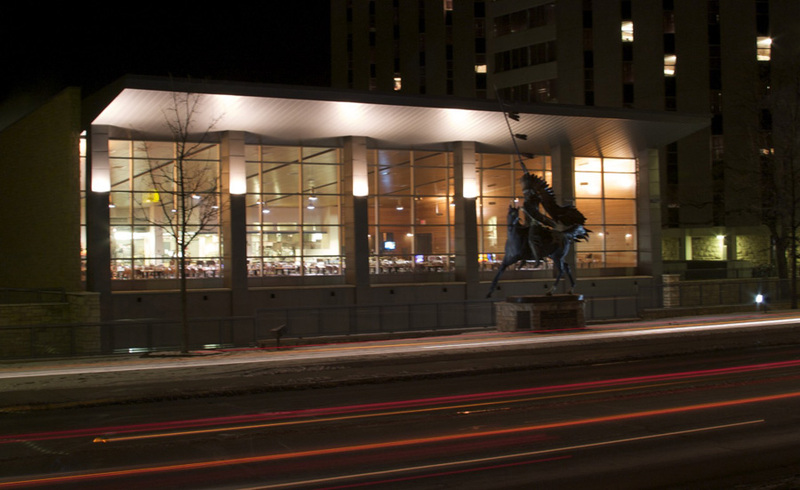 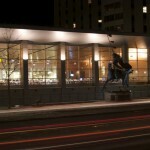 The Washakie Center at the University of Wyoming occupies a central position within a neighborhood of high-rise dormitories along Grand Avenue in Laramie. 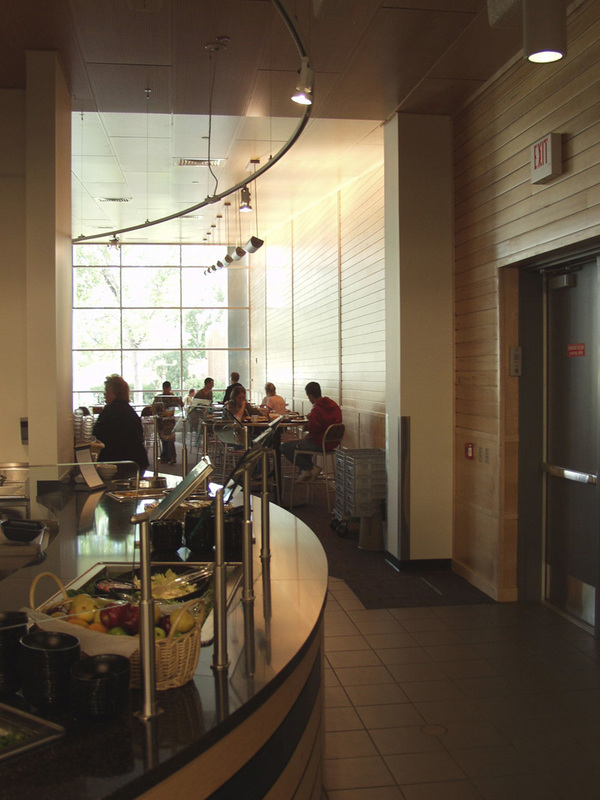 Our project involved an overall conceptual design followed by a complete renovation of the building’s food service facility, including dining spaces and central kitchen; as well as creating a new entry capable of serving the entire dormitory complex. 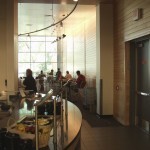 Within the building we designed a student lounge/resource center, a new coffee shop, new ofﬁces for the housing and food service administrations, and a computer-based learning center. 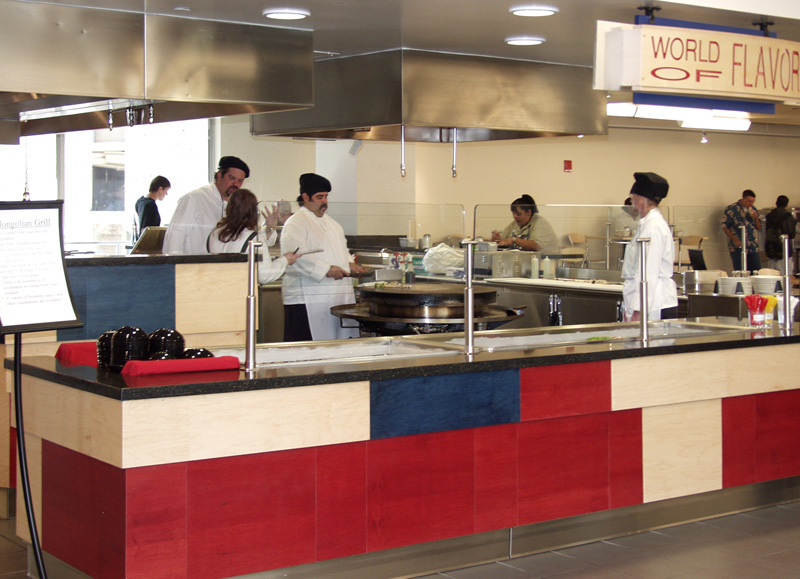 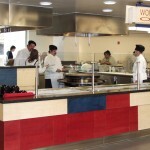 Malone Belton Abel was joined in the project by Opsis Architects and Ricca Newmark Design as food service consultant. 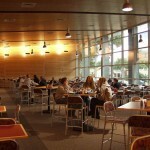 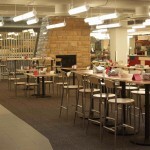 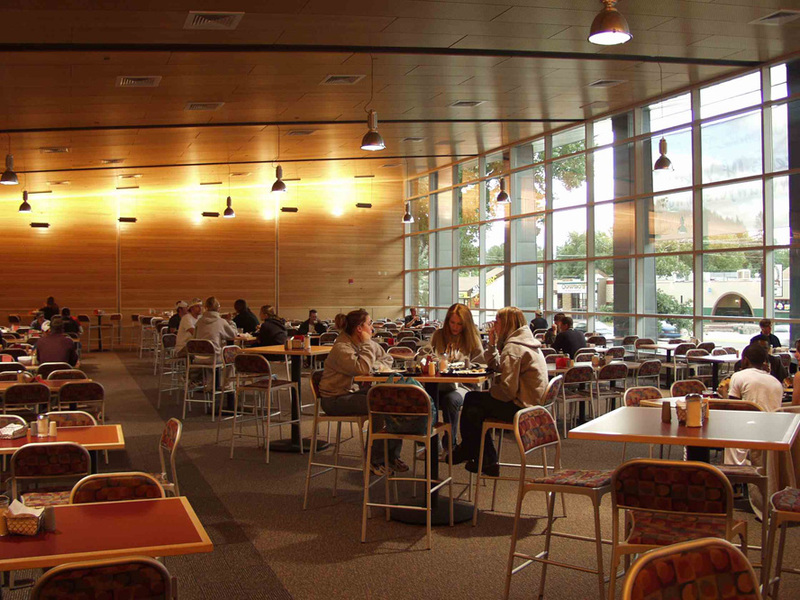 Students can now choose food from a Pizza Station, Grill, Deli, Salad Bar, Market/Coffee Shop, Mongolian Grill, or a Breakfast Bar, and sit down for their meal in one of several dining areas, all well-lit and inviting. 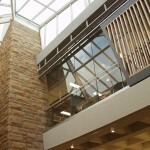 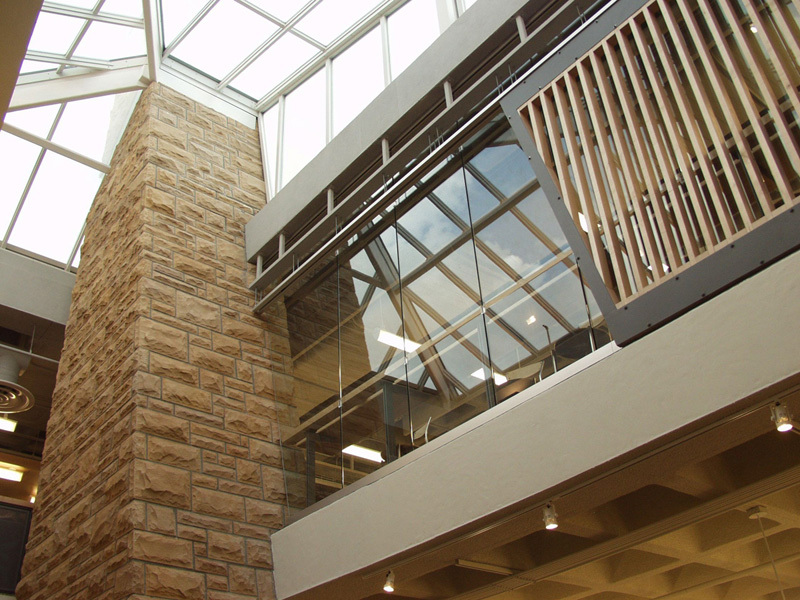 A new skylight cuts through the roof, and a ﬁreplace serves the student lounge. A galleria space created by new openings brings light and connectivity to the lower ﬂoor. 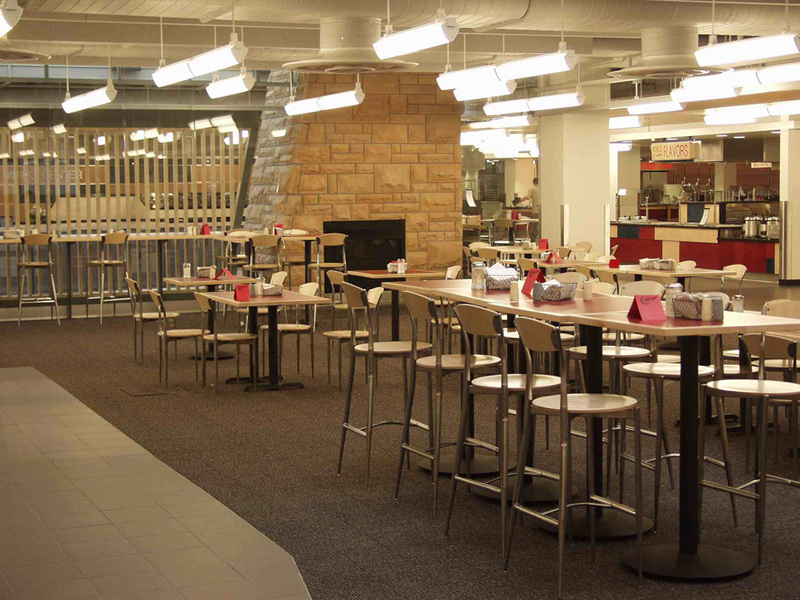 We expanded the dining area and created a new presence on Grand Avenue for the building, with an 8600 square foot dining addition which covers the formerly open concrete plaza.